I made eye contact with a man carrying a uke in a case. I asked him if he played. He did, even though he had a bandage on one of his fingers. It was wonderful. He told me his story. Jake and musicians performed four string magic that transcended the audience at Joe's Pub to a beautiful place. He told his story. I met Jake after the show and told him my story. 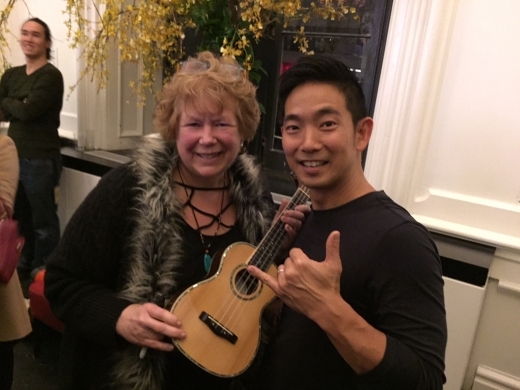 He autographed my ukulele “Aloha, Jake”. I have an amazing new story. What sparks story sharing in your day?